Even if you’ve owned a few laptops and know what features you like, that doesn’t make you immune to some of the most common laptop buying problems. We can all be suckered in by a pretty screen, or high-end features, even if we don’t really need them. That’s what this guide will help you avoid and make sure that what you’re buying is what you need now and in the future, and not something that’s beyond your budget or necessities. Here’s our list of the most common laptop buying mistakes, so you can leave all potential regrets at the door. If you’d rather have some help buying a desktop, these are our favorites in 2018. There are some great budget laptops out there, but just because they’re cheap, doesn’t mean they’re going to do the job you want or have all the features you need. Let’s say you’re deciding between a dual-core and quad-core processor. You want to run many applications at once, but you chose the dual-core processor because it’s a little less expensive. Now you have a system that’s not as powerful as your needs demand, and that problem will plague you until it’s time to buy again. Rather than jumping for the lowest price, it’s best to find the laptop that will actually serve your needs and then cross reference that with your budget. Conversely, the best laptops in the world might tick every box, but if you pay for features or hardware you don’t need, you’re just wasting your money. Chances are good that if a laptop strains your budget, it has something that you don’t need. A new MacBook Pro with top-specifications can cost up to $6,000 — but very few people need 4TB of storage space on their laptop. You can get yourself the same machine with the exact same specifications apart from less storage for half that price, and you can get plenty of cheap storage from an external drive. Gaming laptops can be notoriously expensive too, but if you’re only playing indie games you don’t need all that hardware. Buy what you need, and try not to go overboard. It’s an old bit of advice, but it still holds true. Unless you are obsessed with getting the latest tech, a new laptop should last a few years, and likely more if you want to save money on another purchase. Instead of buying a laptop exclusively for your needs right now, you should buy one for where you will be in a couple years. You might be tempted to opt for a base model for its low price tag, with something like 4GB of RAM and a 128GB solid-state drive. That’s going to limit its long-term appeal, because it will quickly run out of storage space and may not handle multiple applications well. Going for a step-up model with a bigger drive and more RAM is probably a good idea. Not all laptops include the ports you depend on. Many modern laptops, like our favorite Dell XPS 13, only have Thunderbolt 3 and USB-C ports. If you need USB-A or an SD card reader, make sure your chosen laptop has those specific ports before buying, or budget for an adaptor. A device boasting a 4K display is certainly worth more than a cursory glance, but its not always the right choice, as smaller screens don’t let you enjoy the full benefit of the higher resolution. Worse still, 4K screens can have a big impact on your device’s battery life. Many 4K notebooks have lackluster endurance with higher resolution screens and really, you don’t see a lot of benefit. Unless you’re buying a super high-end gaming laptop or one with a huge screen, we’d recommend 1080p for savings on your wallet and battery life. If you can, always give the laptop you’re considering a proper test drive before buying. Many everyday laptops are available for testing at big, brick-and-mortar stores such as Apple, Best Buy, and the Microsoft Store, allowing you to fiddle with the touchpad, keyboard, software interface, and other components that substantially differ from model to model. It’s easy to overlook the importance of features absent from the spec sheet, such as the touchpad’s responsiveness or the visibility of a glossy screen in daylight, and there’s just no substitution for getting a real hands-on feel of what it’s like to use. If that’s not possible, buy from an online store with a strong return policy. Size matters, especially when it comes to a laptop. Whereas a bigger display allows for a more expansive and often better viewing experience, it also cuts into the portability factor. A laptop’s size often determines the size of the keyboard and trackpad, meaning you’ll likely be cramped when opting for a laptop measuring less than 13 inches. The best way to figure out what you need is to consider how you’ve used laptops in the past. A smaller ultrabook may be a viable option for frequent travelers, but for those looking for a standard laptop, you’ll probably want to opt for one with a 13.3- or 14-inch screen. If you rarely leave your home with your system, consider a 15.6-inch model for maximum screen real estate. Tunnel vision is bad news when buying a laptop. While it’s fun to pit spec sheets against each other, avoid picking out one particular specification as your favorite and only looking at that factor. While you should have a baseline specification in mind — to make sure that you get the performance you need, don’t obsess over maximizing on any one specification. It’s easy to be excited about paying a little extra for double the RAM, for example, but most people don’t need any more than 8GB unless you are using some serious software for work purposes. Likewise, don’t become obsessed with battery life, resolution, processor speed. If you’re on a budget, and most people are, you’ll need to learn to balance a variety of hardware. Make sure the laptop you want has the features and hardware you need, anything else that comes in under budget is just a bonus. 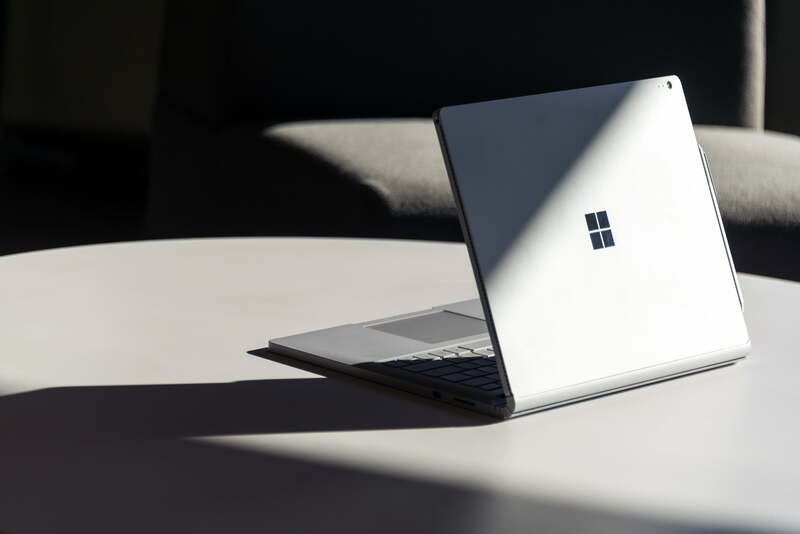 Ultrabooks have risen to become one of the most popular types of laptops, and it can be very tempting to automatically assume they are the best choice for you. They’re lightweight, small enough to fit easily into a briefcase or backpack, and the prices of many models — especially Chromebooks — are some of the lowest around. What’s not to love? While most people will find the performance to be more than enough, creatives and professionals might need workstation-class hardware to handle the intensive software needed for their job. In particular, you may need something with a powerful graphics card, while most 13-inch ultrabooks use an integrated one. Tablets, 2-in-1s, and laptops are distinct categories. They aren’t interchangeable. While you can perform many tasks with a tablet and keyboard that you can with a laptop, the similarities soon end. Tablets remain far more constricting when it comes to multitasking, fast web browsing, using complex apps, or running demanding software. Their keyboards can be overly cramped too. Just because something has a screen and keyboard doesn’t mean that it can do everything a laptop can. This is the opposite mistake of getting focused too much on one spec — if you ignore all the specs, you’ll start making assumptions about what the machine can do, and that’s dangerous territory. Buying a laptop is complex, but if you do so with care, you should land yourself a great piece of kit. Our reviews here at Digital Trends are a good start, where we walk you through every feature of a notebook and how it performed in our hands-on testing, from display quality to performance. We take an in-depth look and evaluate every laptop we receive, including everything from the user interface and the display to performance and overall design. Remember though, buying the right laptop for you means just that. Read everything you can about a prospective purchase, but when it comes time to break out your credit card, make the purchase that makes the most sense for you. And shop around for the best price too. You might be surprised what kind of deals you can find.